knit ben and i colorwork mitts (not matching)… and publish the crossbow mitt pattern (and maybe the pattern from our mittens?) things i will learn from these 3 pairs shown below that 1) i have a tight gauge when knitting colorwork in the round – go up two needle sizes and 2) i have size medium around hands, but length is size large. learn to steek – maybe by making a colorwork baby sweater design? 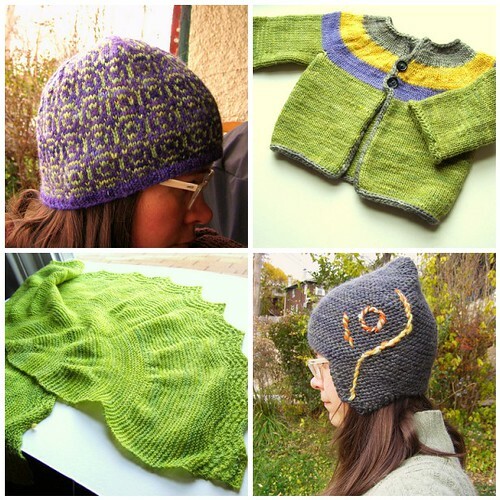 i’ve been browsing – a little bit of colorwork here and here. and a lot of colorwork here, here, and here. plus this cute cute bee one. may have to do adrian’s tutorial to learn the steek first though. start xmas knitting early, with the bean existing and me not selling hats any more, i should just knit what i like for who i like! fun. christmas is an all knit affair over here, unless we stumble across something better. 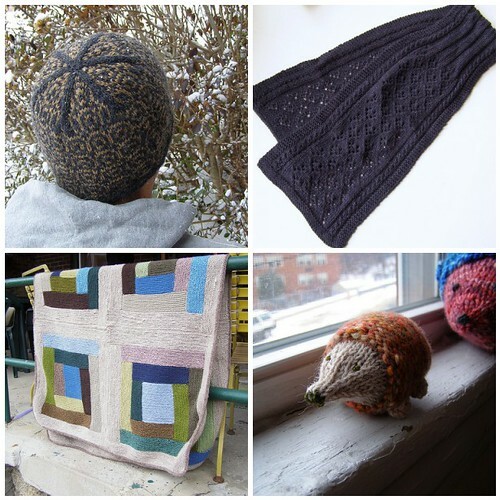 i feel very lucky to have such inspiring and wool worthy folks to knit for. finish my sweater that is 80% done. stopped knitting it around when i got pregnant, and now it’s my size again. and lastly, get some more patterns done in my own yarns. do you have any crafty new years thoughts? Happy 2012! Looks like you’ve got some fun plans coming up. I’m looking forward to a bit of stash reduction, releasing a few more patterns, and experimenting with spinning. Your list is inspiring. I’m with you about starting Christmas knitting earlier. I’d also like to bust my Ravelry queue, maybe slash it by half, either by getting things done or deleting them. I also have a Pinterest board that is like my queue and I’m tired of adding things to it without actually doing any of them. ah pinterest. i’m not even going there!